It's been several months in the making, but we're proud to unveil this new Halcyon website, redesigned from the ground up to better act as a hub for information, history and resources. Halcyon has always showcased an evolving history on our site, but as we move into 2018 with 20 years of experience now behind us we wanted to better reflect the breadth of work the ensemble has created over the last two decades and make it easier for you to explore that history. Apart from new look Press and About Us pages we’ve added a whole new section on our Educational projects and programs. Going back through the archives, we’ve also compiled lists of the composers and performers who have most often featured in our programs over the years. These people are now visible at the top of The Music and The Artists pages respectively, and we'll be talking a bit more about some of those relationships in the near future. On the Recordings and Events pages you will find a catalogue of every single release and performance we've done, with details, downloadable material, reviews, audio clips and more! We’ll be adding to this as well as we draw attention to some of the highlights of the last 20 years, and of course we'll be posting to this News page with regular updates, upcoming concerts, reflections and other interesting projects throughout the year. The Listen page has had a revamp too and in 2018 you’ll also see the introduction of a whole new range of footage audio excerpts and entirely new projects available on our YouTube channel. 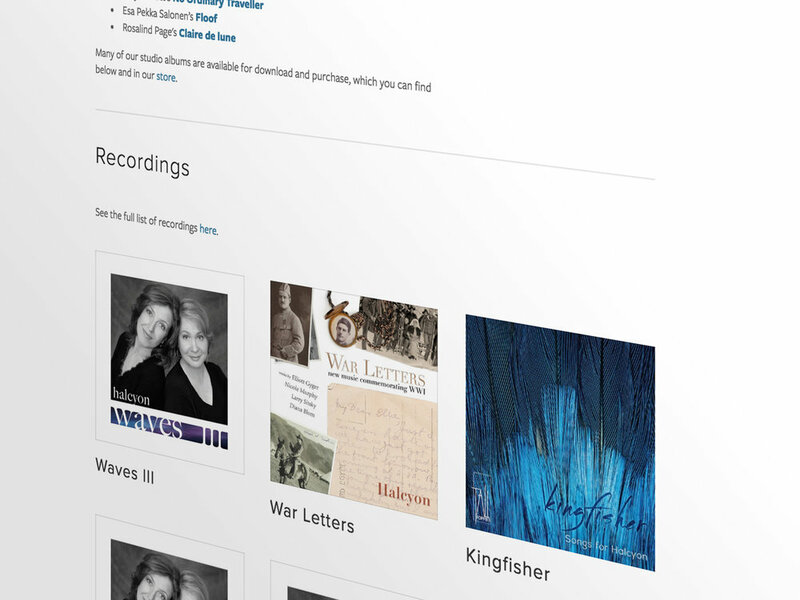 For long-time supporters or newcomers alike, now is the perfect opportunity to take some time to have a look around and find out more about some extraordinary music, composers and performances. You can also keep updated with any new additions to the site by subscribing to our enews. We’ve an exciting new year ahead of us and we're pleased to kick it off by launching this brand new site!